I am a Starwars fan since young and when i found out there are actually a blend of Transformer and Starwars together, i am very much intrigued! 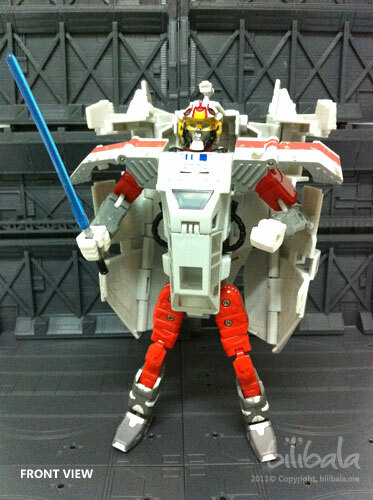 This line of Transformer is called Transformer Starwars Crossovers. Indeed, it is quite crazy to mix the 2 together and the outcome will be unpredictable. 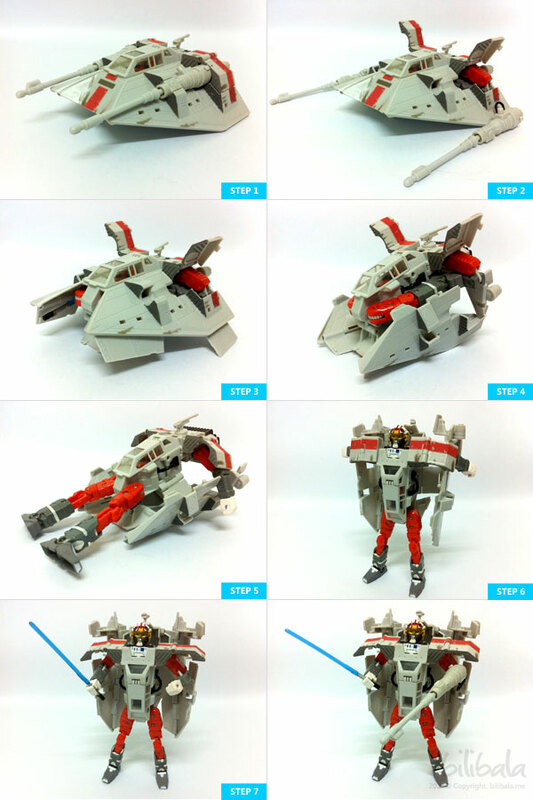 I manage to collect a handful of transformer crossover and what i am going to share today is one of them: Snowspeeder! The overall plastic quality is quite solid. For the color painting is quite nice as well as you can see a bit of dirt and wear and tear painting effect to the body of the ship as well. 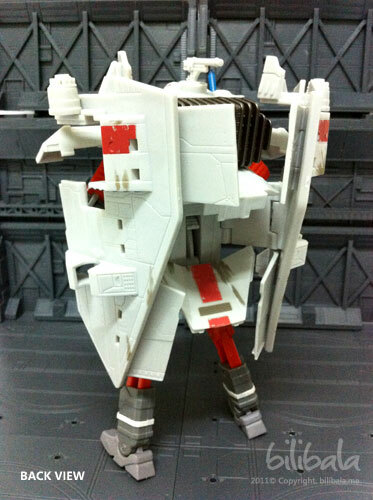 However, the joints in the robot form is a bit loose especially the upper leg part. 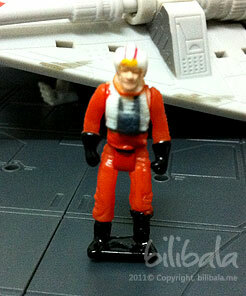 For the earlier line of TF crossovers, it comes with a 1 inch Luke Skywalker with 3 point articulation (2 x arm, 1 x leg). 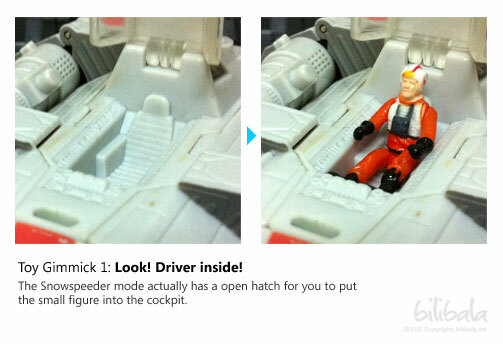 This figure fits nicely into the cockpit of the craft itself (pic will be shown in the gimmick section below). The detail on the figure is quite nice even though it is small. You can see the part in the following picture: a detailed face, a pilot suit, a pilot helmet. Quite impressive for a 1 inch figure. The Snowspeeder mode is really nice considering it is quite similar to the non-transformable Starwars line of toy in the market. At a glance, you wont notice it is a transformer (apart from close examination of the openings between the parts). The details of the Snowspeeder is quite nice as well. You can see chrome part for the back of the craft as well as some panels located at the side of the craft. 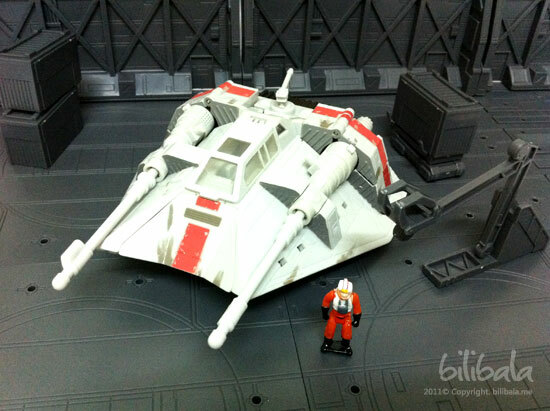 And it does come with a retractable landing gear located at the base of the craft. 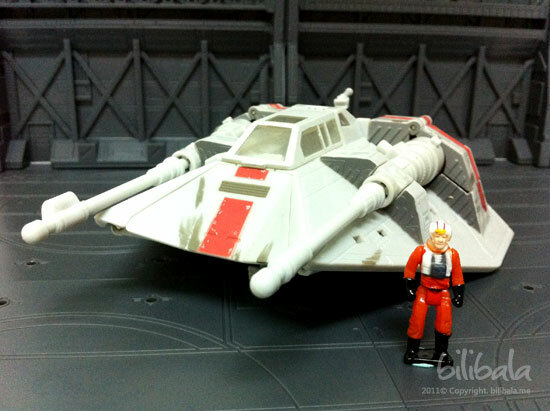 As mentioned, the back of the Snowspeeder has the chrome colored part which adds to the overall detail for the craft. Quite nifty! The transformation process is not that difficult. 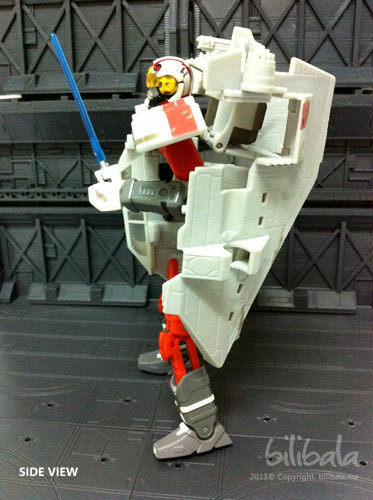 I would put it as easy transformation whereby you can pick up quite quick. There are no complicated twist and turn for it. It is quite straightforward transformation. There aren’t much gimmick for this toy. The 1st one would be the cockpit-driver thinggy. 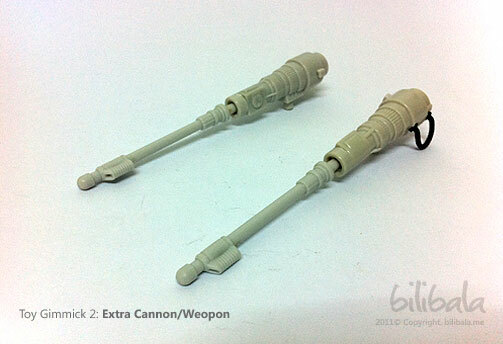 The 2nd one would be the cannon detached from the snowspeeder which can be used as an additional (or 2 additionals) cannon for the robot Luke. 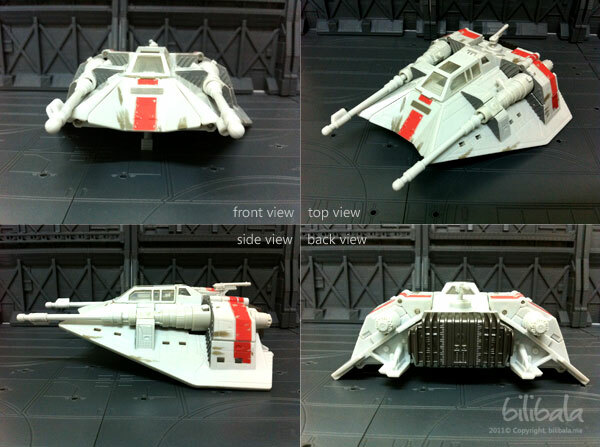 The Snowspeeder is very nice indeed especially when it comes with the small Luke Skywalker which can be put into the craft. However, the design for the robot is not that pretty and people might think that it is too abruptly designed. Well, designs are subjective anyhow. So, my personal rating for this guy is 7.5/10.